The more and more I shoot and the fewer times I find myself on a public range with trained Range Officers, I decided it was time to learn something about first aid. What did I know about gunshot wound care? Applying pressure. Perhaps spreading a mystery bag of granules into the wound while yelling for a medic, in the meantime UH-1s whop overhead dumping hot brass on to… You get the picture. I knew nothing other than movie stuff. Fortunately for me, there’s Wade and Jen at Bushido Tactical. Wade, a real world guy with real world experience started his own business 6 years ago. Initially focused on firearms, training and gear for the Military and Law Enforcement community he shifted his focus on the ever-growing demand of “regular guys” like myself. I’ve known Wade for a few years now, having met in the passing at a few SHOT shows we’ve somewhat stayed in touch. A few months ago, I attended his first suppressor class. When I got an email announcing his Basic Medical course, I didn’t hesitate and signed up. The class started at 0930 sharp, in a private room at the exceptionally clean Orlando Gun Club. Wade started he class introducing himself and allowing the other 5 like-minded individuals and myself to introduce ourselves. After a brief run-down of the day’s curriculum, he handed the class over to Tracy and Troy Braley, both firefighters and EMTs, with Tracy being a retired Corpsman as well. The class went into a lot of aspects of Gunshot Wound care, such as Scene size-up and safety, BSI (Body Substance Isolation), patient assessment, identification and control for capillary, venous and arterial bleeding, going into shock and of course properly administering dressings, bandages, quikclot, tourniquets and addressing sucking chest wounds. The presentation was loaded with useful tips, tricks and “insider information” that could be helpful. Detail was given to handing over the situation to EMS upon their arrival. All questions were addressed and answered until completely understood. After that, we went into looking at the different medical supplies, Israeli bandages, H-bandages, tourniquets and clotting bandages. The class divided into groups of 2, we all got plenty of hands-on experience using the supplied items, and were even encouraged to properly apply quikclot gauze into a huge chunk of London Broil steak! After the class was over, Wade and Jen stuck around, and had brought some of the kits they manufacture and sell under the Bushido Tactical label. I purchased a nice kit, that will be going with me wherever I go. On the drive home, letting things learnt sink in, I came to the conclusion I no longer felt uneducated on the subject and I think I would even feel prepared and comfortable applying the skills and knowledge I picked up. Definitely money well spent! 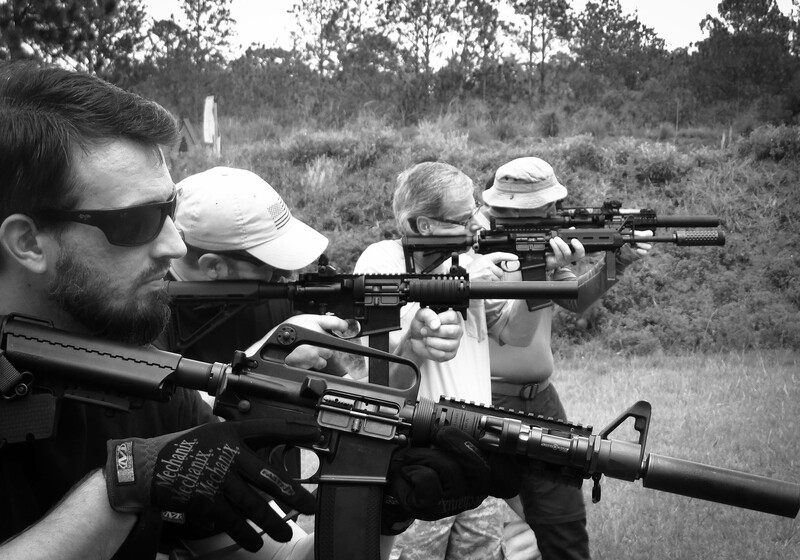 Check out Wade and Jen at Bushido Tactical in Orlando Florida. Their classes are great, their gear is top-notch, and they are great people, whom I’m proud to consider friends. This entry was posted on August 3, 2013 by Dan. It was filed under Training and was tagged with Bushido Tactical, EMT, GSW, Gunshot Wound, Israeli Bandage, Medical, Quikclot, SCW, Training.